Perfect for growing on all your young plants, these handy trays keep your small pots neat, tidy, easy to work on and can be used time and time again. Pots are kept stable in a sturdy black plastic tray yet can be moved with the minimum of effort, no more compost accidents or juggling with loose pots! Ideal for carrying out into the garden when you are ready to plant out. Finger holes allow easy pot removal if you need to work on an individual plant. Small: Dimensions 53cm wide x 33cm depth x 6cm high approximately. 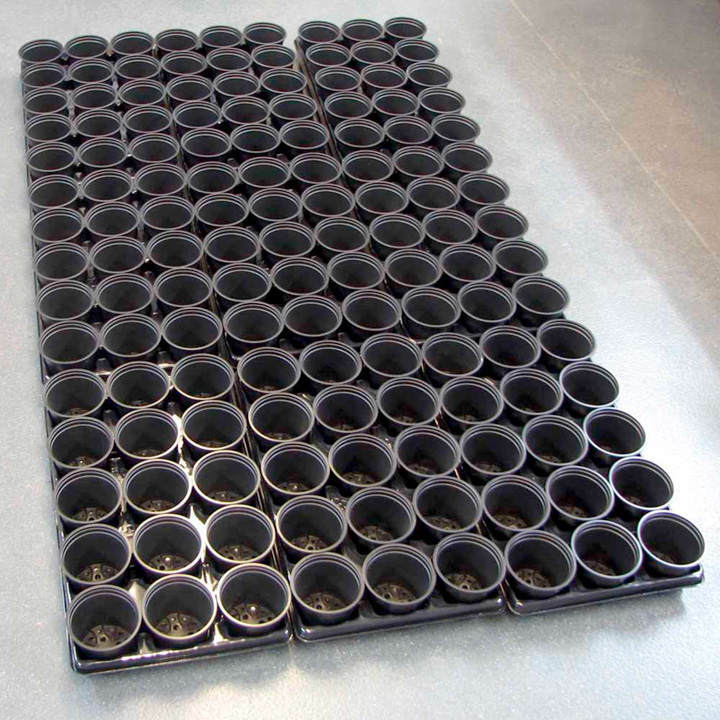 Each tray holds 40, 6cm (2½") pots. 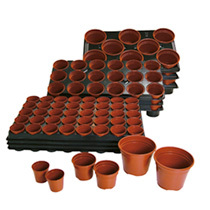 Ideal for raising seeds and cuttings, or growing on your Miniplants. 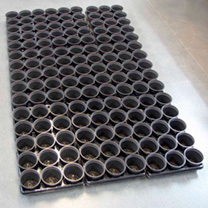 Pack of 3 Trays & 120 Pots, Pack of 6 Trays & 240 Pots. Also available in Medium and Large.